CCP provides via the ESI API the sum of performed buy and sell orders, thus trades, on a daily basis. This page averages this across the last 30 days and thus shows how much a specific commodity is being traded globally or in a specific region. 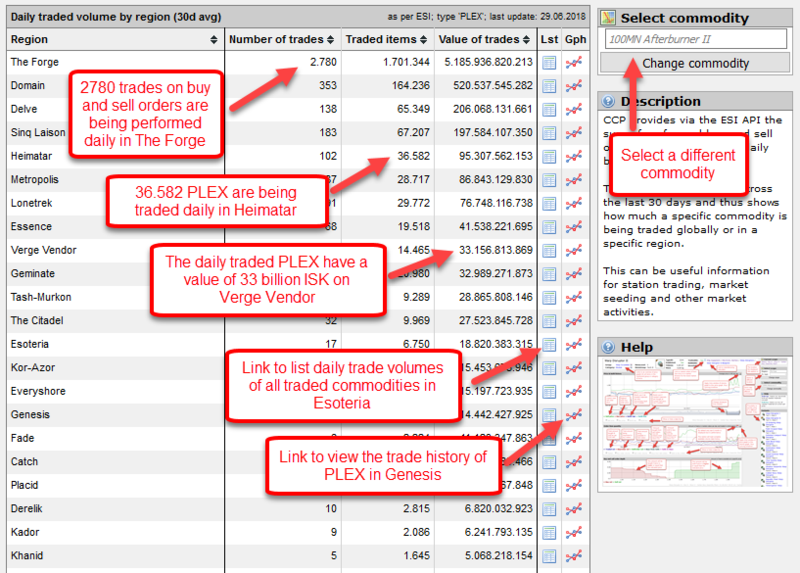 This can be useful information for station trading, market seeding and other market activities.